1. What is QOS and why it is required? 2. What is layer2 qos and layer3 qos? 3. What is tail drop? 4. Describe methods of QOS? 5. What is hardware QOS and Software QOS? 6. Difference between a policer and a shaper? 7. What is token bucket algorithm? 8. Where to define the markings? 9. Does QOS increase the load of the equipment? 10. What is TOS and IP DSCP? 11. what are the different classes available? 12. How to calculate the decimal value of classess? 13. What is the difference between priority and bandwidth command? 14. What is low latecy queueing? 15. what is class based weighted fair queuing? 16. What is first in first out queue (FIFO)? 17. What is fair queue? 18. If I give teh ip precendence five to data traffic, what will happen? 1. 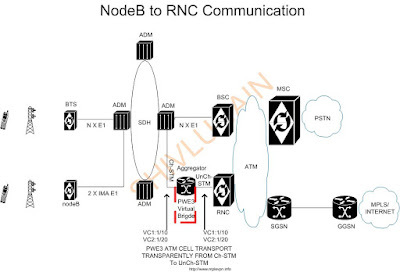 As the nodeB traffic will increase, operator need to increase the E1 ports on RNC. 2. Adding E1 ports on RNC is really an expensive solution. 3. More operations and manageability. 4. Number of more physical links. 5. TDM means end to end E1 will be blocked whether traffic runs over it or not. 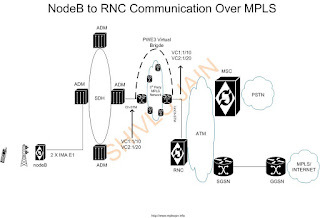 To address the above mentioned issues, operators need to add an aggregator router which would serve nodeB traffic towards the RNC and vice versa. By adding an aggregator router, operators can drastically reduce the cost of the network without making much change in the network. 1. An aggregator must support channelize STM port towards nodeB side. 2. An aggregator must support UN-channelize STM port towards RNC side. 3. Option to create an IMA group on aggregator. 5. Static routing if require dynamic routing also.